Health politics are changing rapidly — In fact, this is my second time writing this column. The first version considered what the GOP’s health reform might look like after the American Health Care Act (AHCA) flopped. I did not have to wait long, as Republicans recently announced they were trying again. Interestingly, after Speaker Ryan failed to get the AHCA passed, a survey by the Kaiser Family Foundation found 64 percent of Americans thought that Congress failing to pass the AHCA was a good thing. What is this second attempt at passing the AHCA? Here’s a primer on what’s new for the GOP’s health care law, and some challenges the Republicans will face in attempting to pass health care legislation. Recall, the unusual coalition: Democrats, the Freedom Caucus and even some moderate Republicans, garnered enough support to ensure the AHCA would fail. What changed to bring them onboard? Surprisingly, not much. The changes come in the form of the MacArthur Amendment. The Amendment seeks to bring these opposing factions within the Republican party together: The Freedom Caucus felt the AHCA in its original form was not conservative enough. The more centrist Tuesday Group was concerned the ACHA was too conservative. This Amendment keeps the popular provisions from the Affordable Care Act (ACA) —reinstating the Essential Health Benefits as a Federal standard, ensuring those with preexisting conditions cannot be denied coverage and allowing children to stay on parents’ plans until they are 26 years old among others—this seemingly would be appealing to the Tuesday Group. And to appeal to the Freedom Caucus, the Amendment adds a Limited Waiver Option. In other words, states could seek waivers to opt-out of Federal standards. States could even seek Limited Waivers for the Essential Health Benefits and Community Rating Rules (these rules prevent insurers from charging different premiums in an area based on factors like gender, age, health status, etc). Not all Community Rating Rules, however, are waivable; for example, gender cannot be waived. Interestingly, health status (e.x. pre-existing conditions) can be waived if a state has a high-risk pool set up. One might ask: how easy is it going to be to obtain these waivers? According to the Amendment, states only need to “attest that the purpose of their requested waiver is to reduce premium costs, increase the number of persons with healthcare coverage, or advance another benefit to the public interest in the state.” The language here is important — states will not need to demonstrate in any way that the waiver will do any of these things, merely attest that it is the purpose. 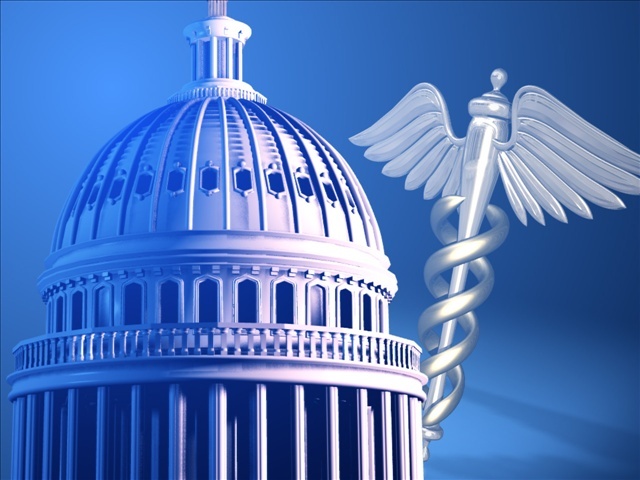 The Congressional Budget Office and health care analysts believe the AHCA will cause the number of uninsured individuals to rise. 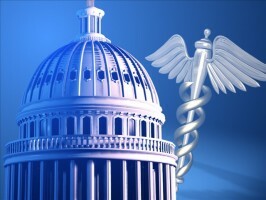 It will, however, save the government money, but not because of efficiencies; rather, the government would not be spending as much for Medicaid, or helping individuals afford health care coverage. As for those with pre-existing conditions, states could waive this Community Rating Rule if they set up high-risk pools. These are precisely what we had before the ACA. High-risk pools are like separate insurance markets for those who are sick and costly. History has showed us these high-risk pools did little to control the cost of premiums for those in the pool. And while the high-risk pools often came with some financial assistance in the form of subsidies, often these were given on a first-come-first-serve basis, and therefore left many struggling to afford the premiums, or forgoing insurance altogether. These high-risk pools did not work in the past, and there is no reason to think they would work any better now. The MacArthur Amendment attempts to do the impossible. Make the AHCA more moderate and more conservative at the same time. AHCA works best for those who are healthy, and could potentially save the government money. Those who will lose under the AHCA are those who are sick and have costly chronic diseases. Additionally, public health and preventative funding will be cut. Lastly, we can expect higher deductibles and more cost-sharing. Overall, the AHCA creates many conditions like pre-ACA health care. As Congress returns this week from its spring recess, the priority will not be health care reform, but keeping the government open and funded. The deals that must be cut to keep the government open will be great; in fact, they need at least eight Democrats. It is unlikely Congress will be able to pay much attention to healthcare reform until after it figures out how to keep government funded.